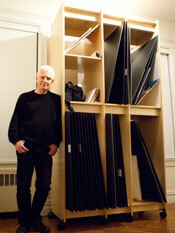 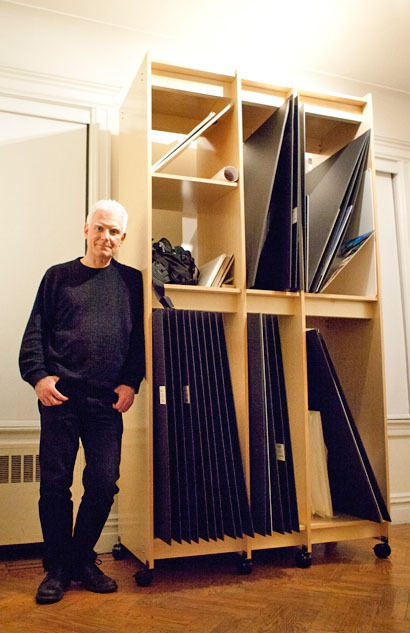 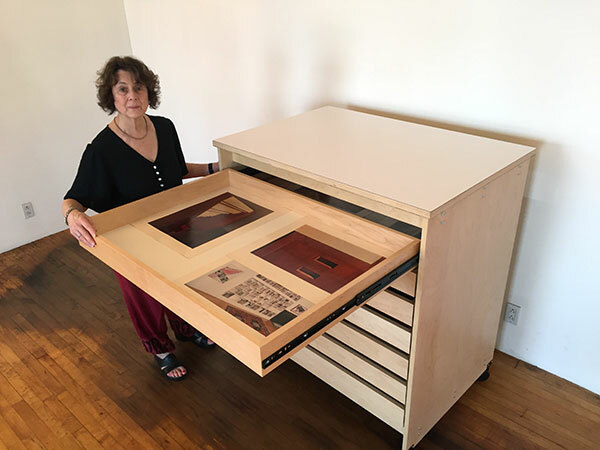 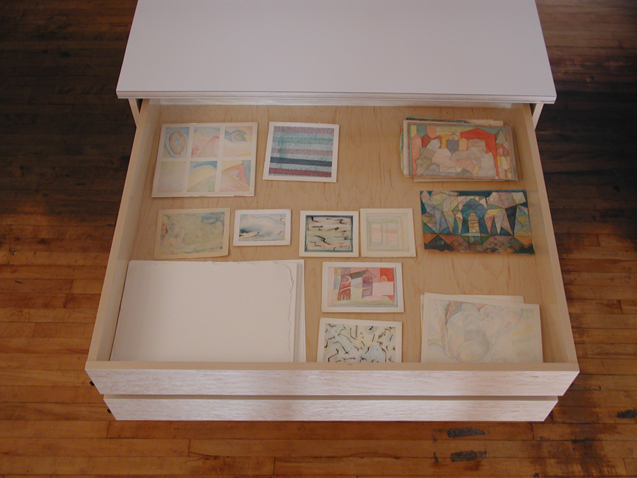 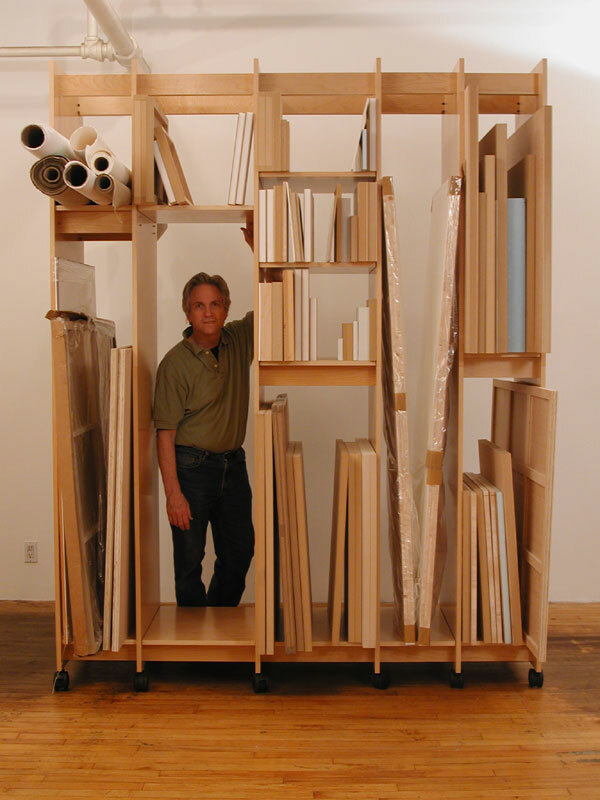 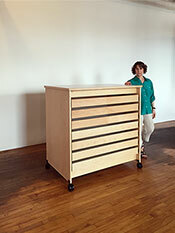 Art Storage System for the storage of art made by Art Boards™ Archival Art Storage Supply. Art Boards™ Art Storage System™. For safe storage of any size artwork. 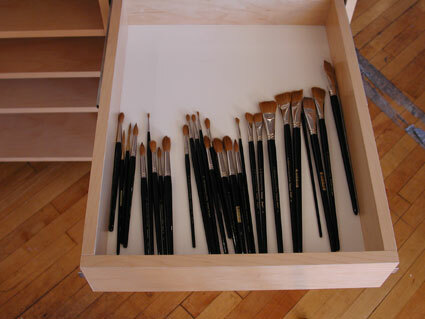 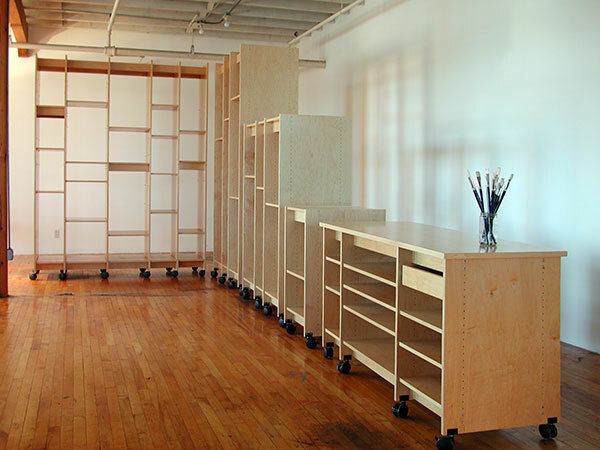 For storing and organizing art: paintings, drawings, prints, sculpture, art supplies, art books, and more. 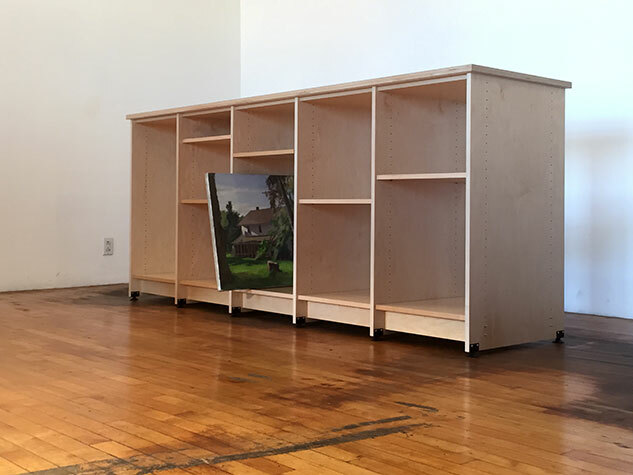 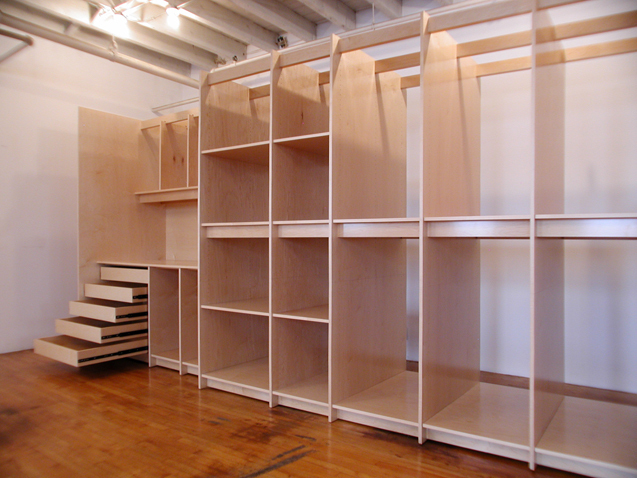 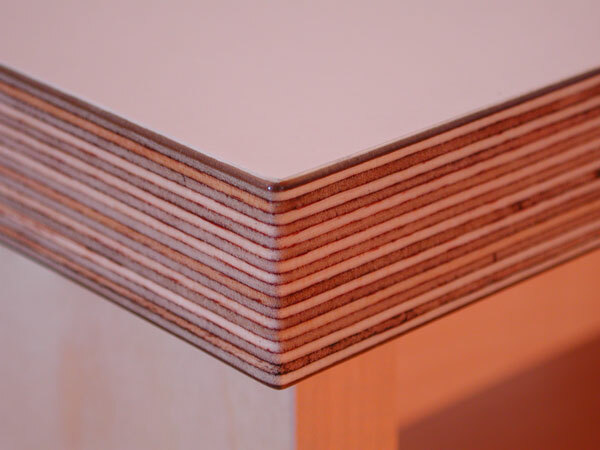 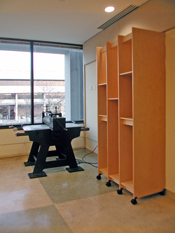 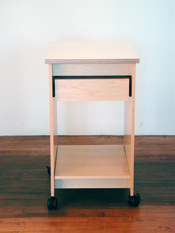 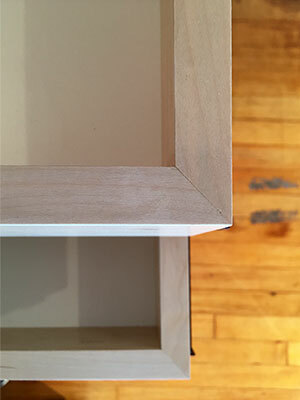 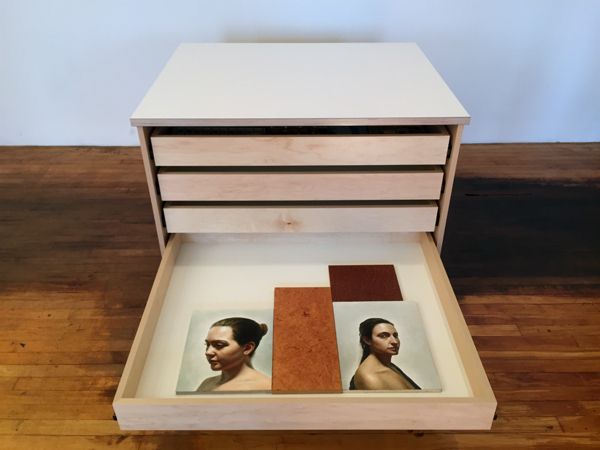 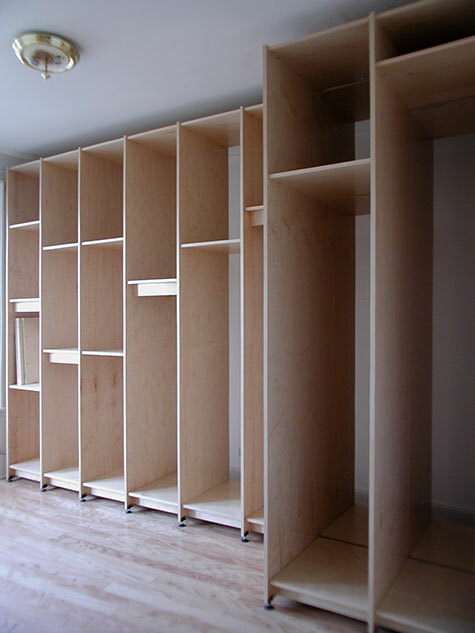 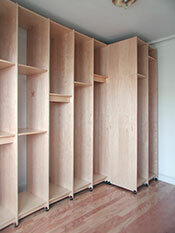 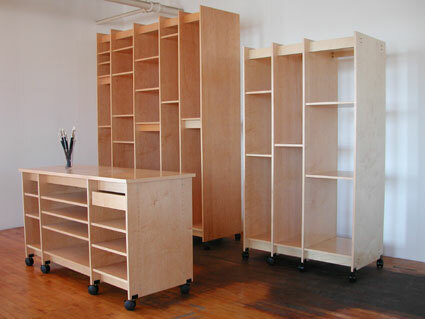 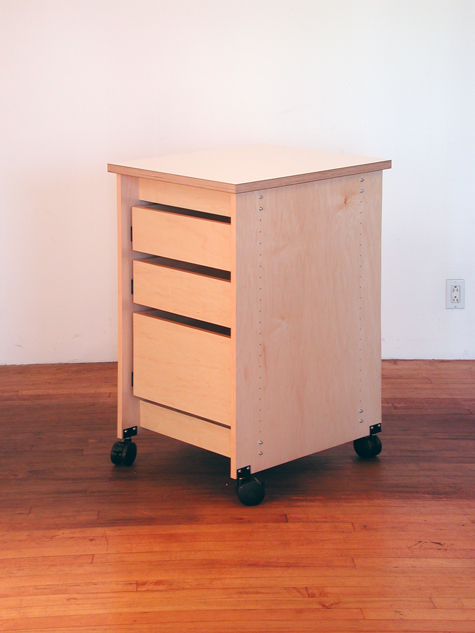 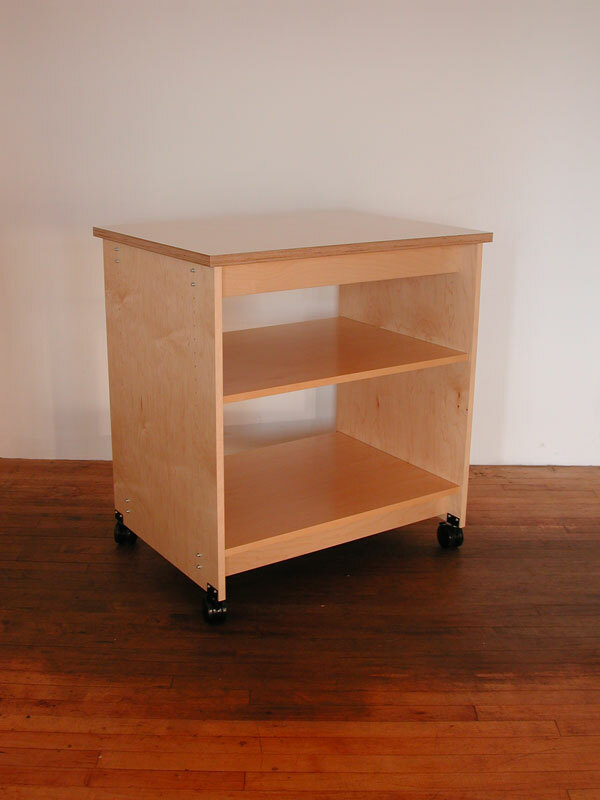 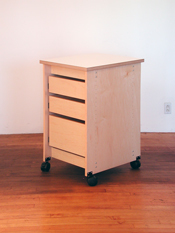 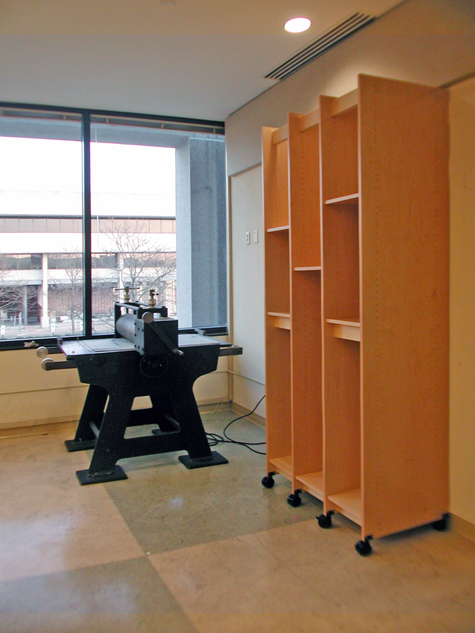 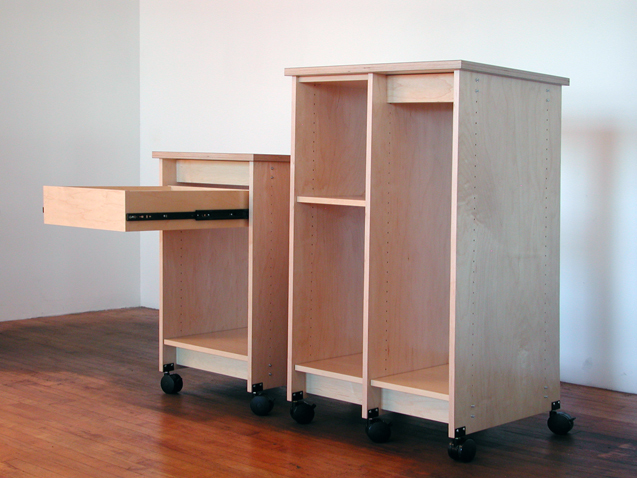 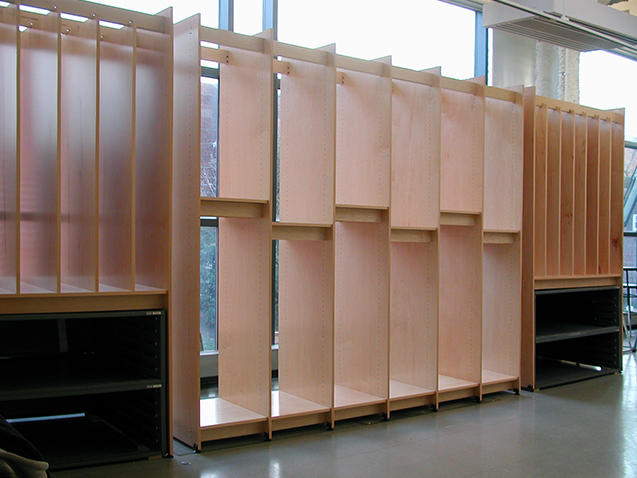 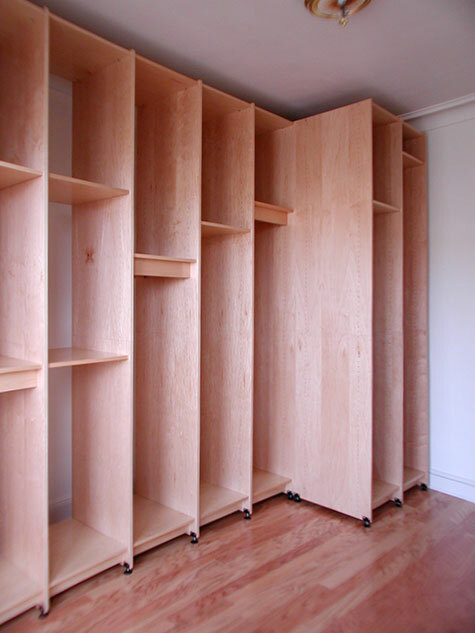 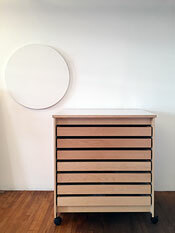 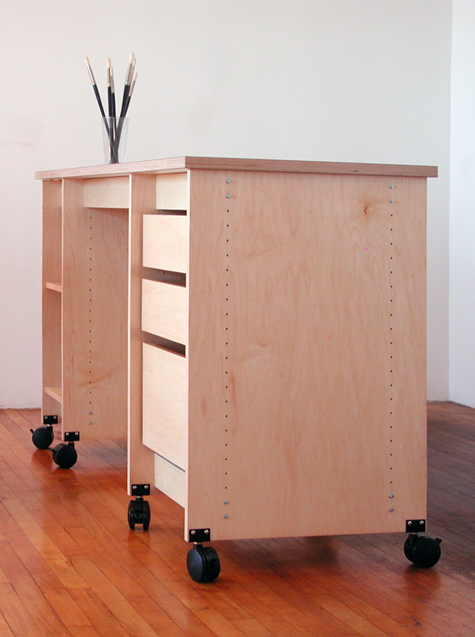 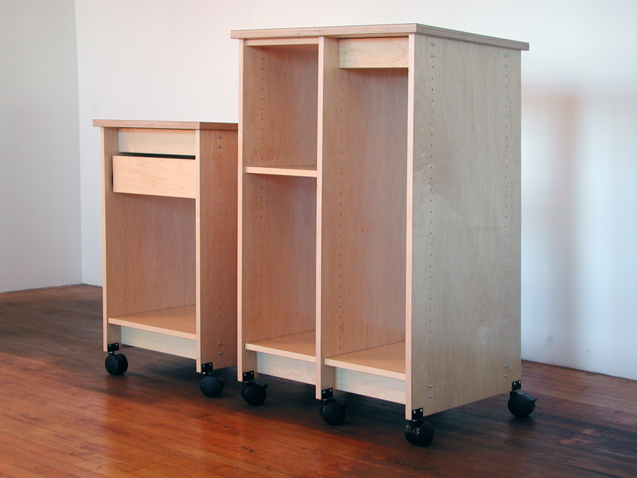 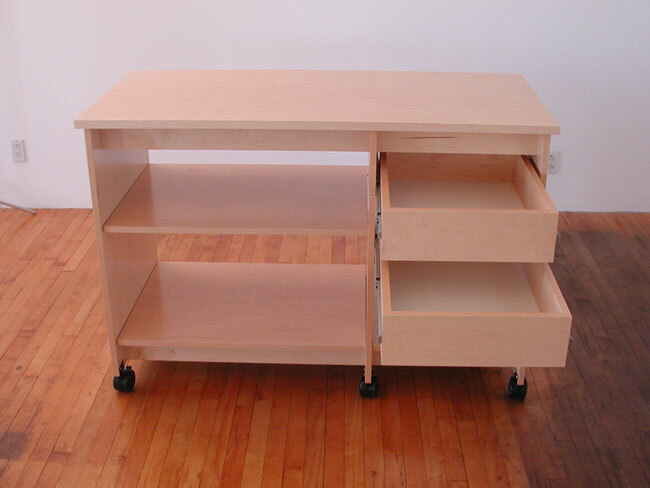 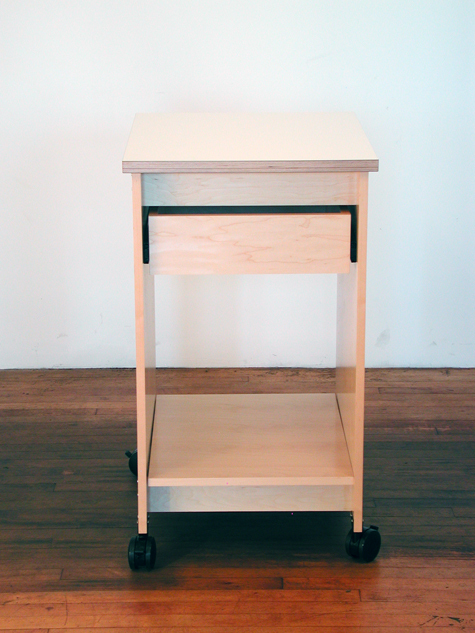 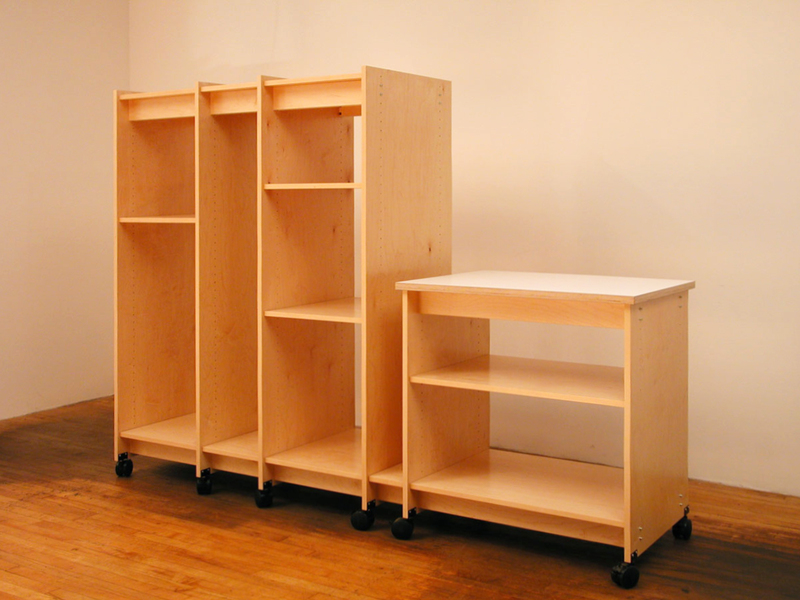 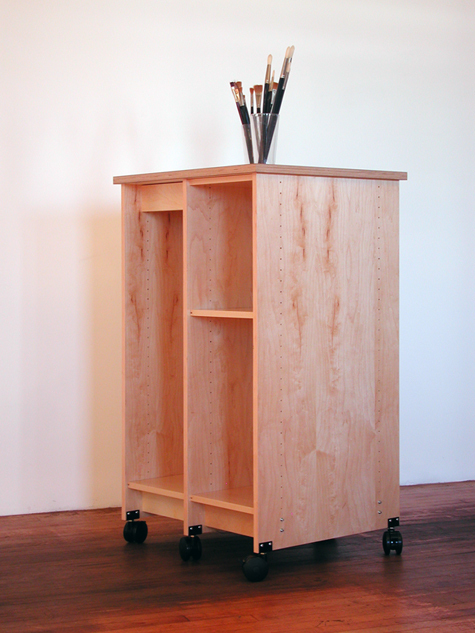 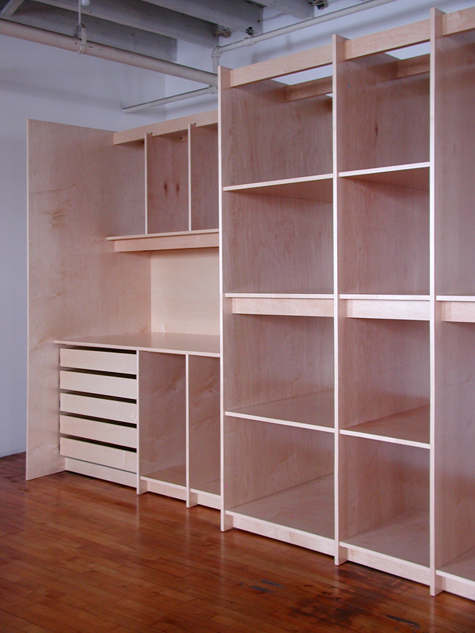 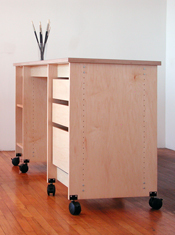 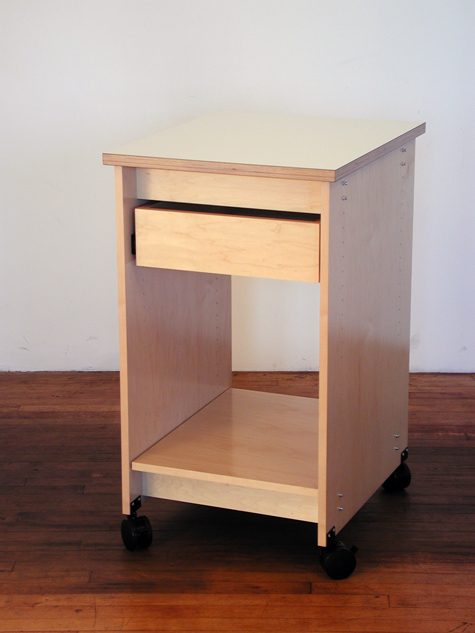 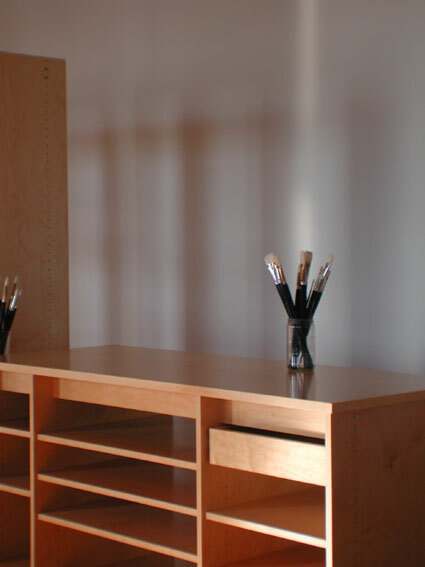 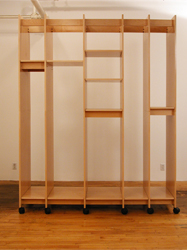 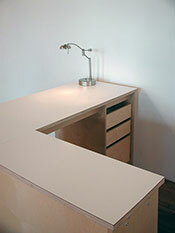 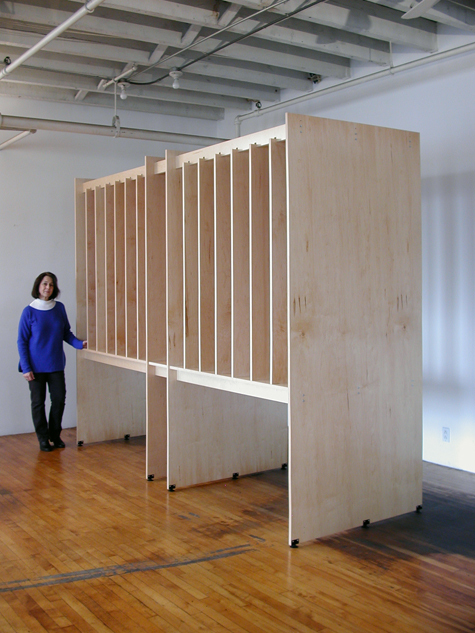 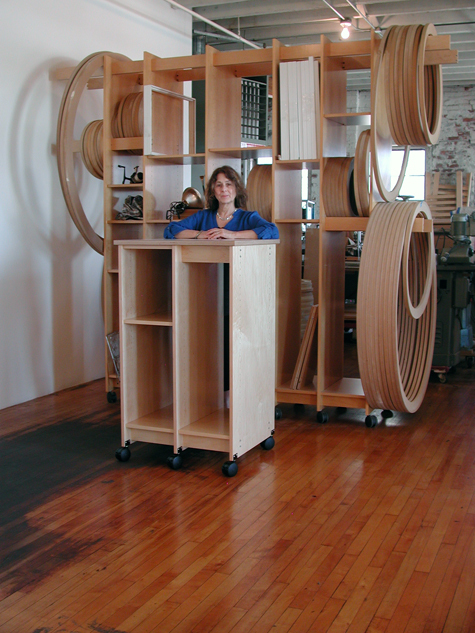 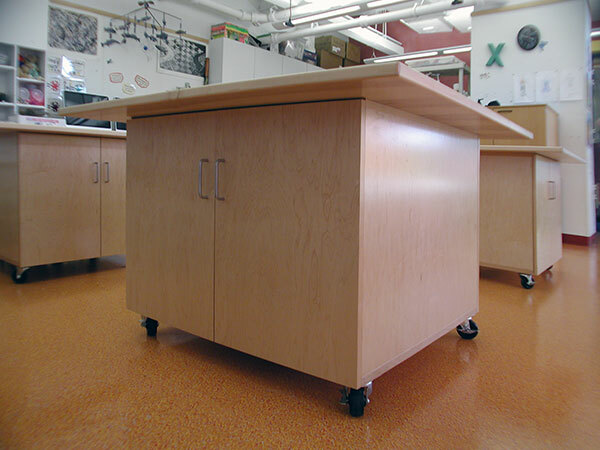 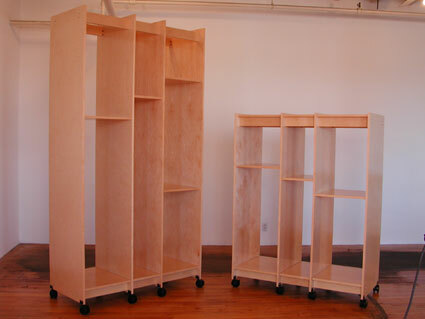 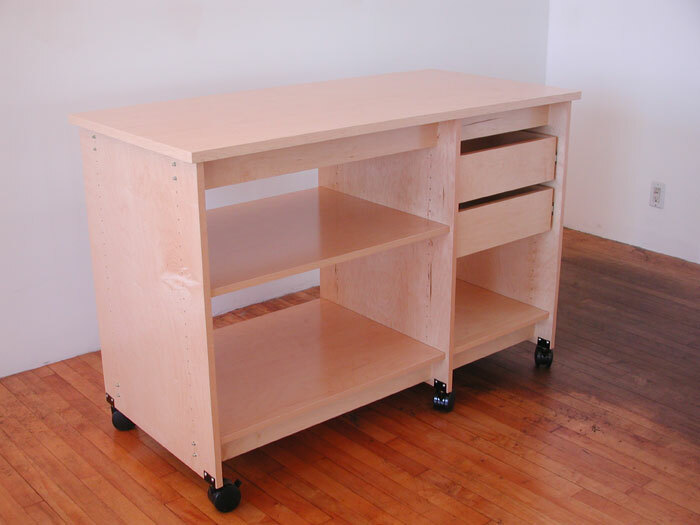 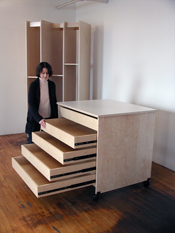 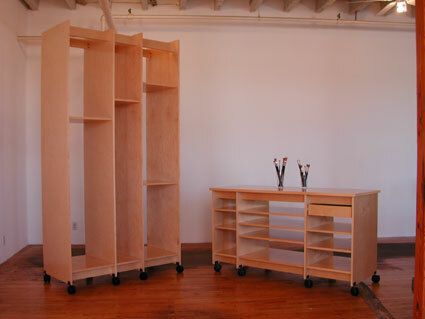 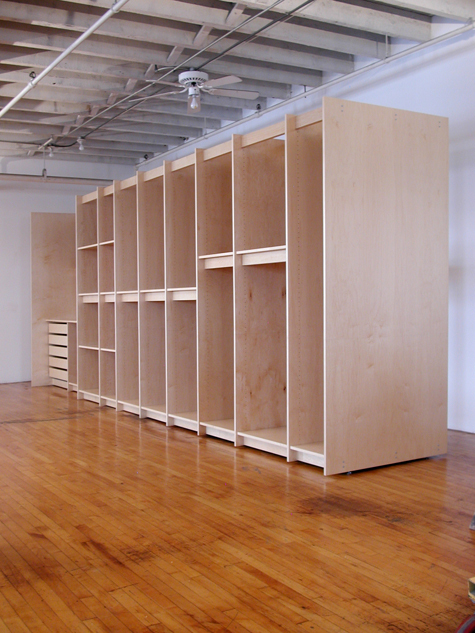 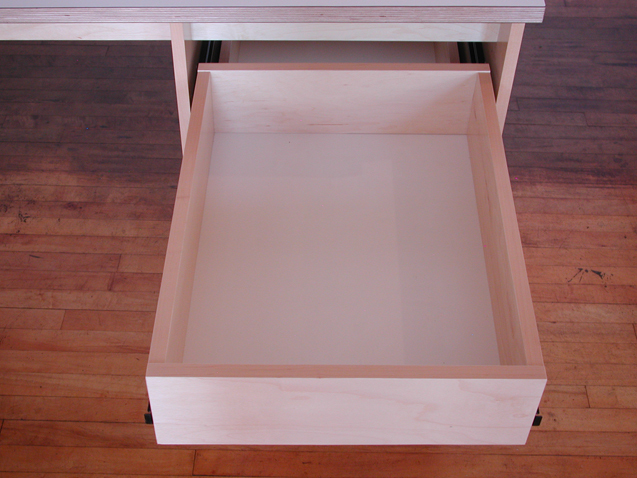 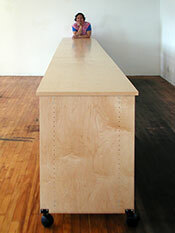 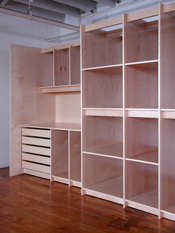 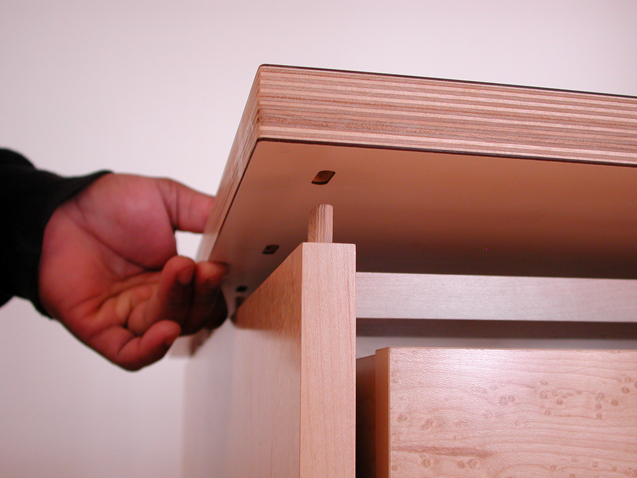 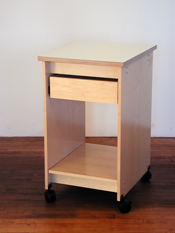 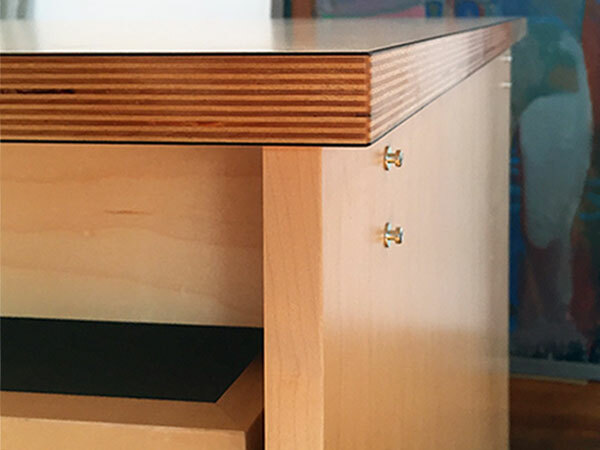 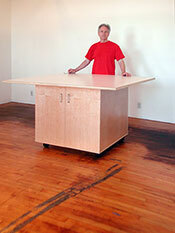 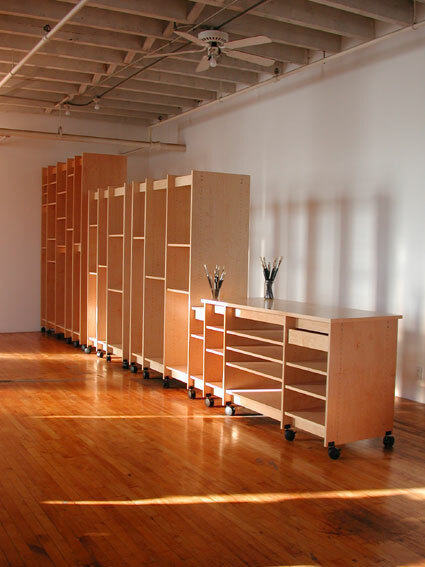 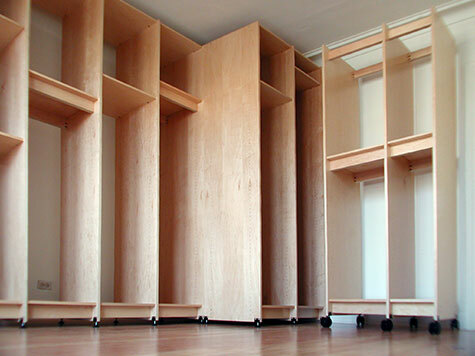 The Art Storage System is made of selectively forested natural maple plywood. 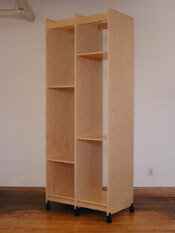 This furniture grade maple has a 7 layer hardwood construction. 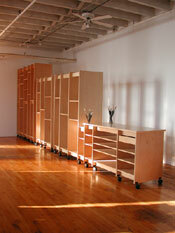 See more Art Storage System photos below. 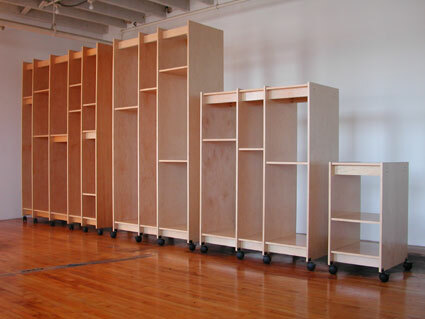 Art Storage System Sizes and Prices. 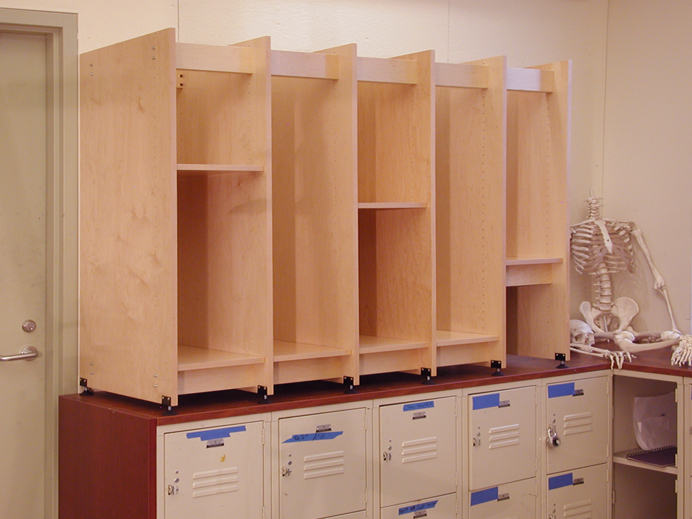 View the Art Storage System assembly video. 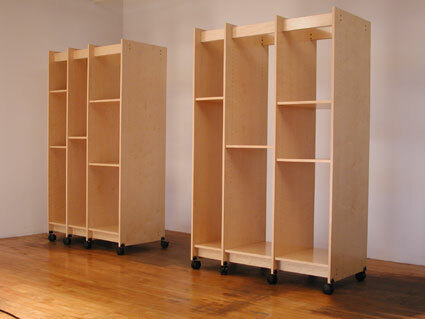 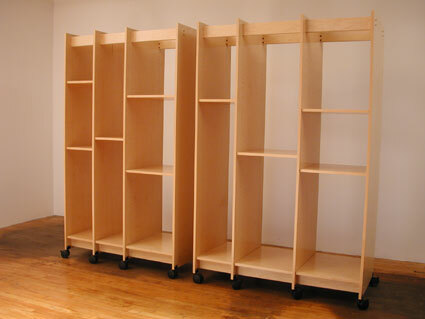 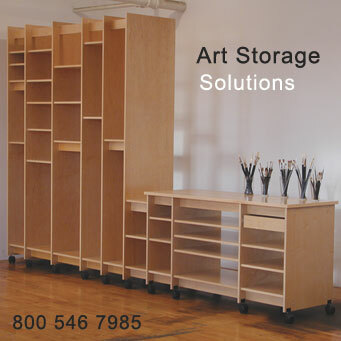 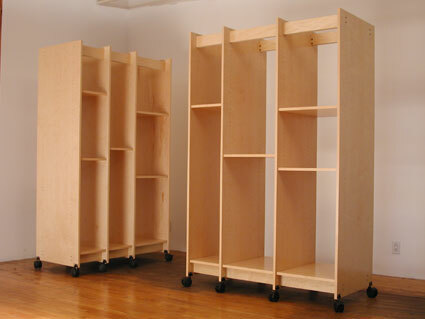 For more information about the "Art Storage System"
And to place orders call Art Boards™ 800 546 7985. 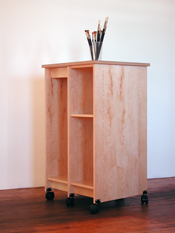 Art Storage System Price List and Sizes. 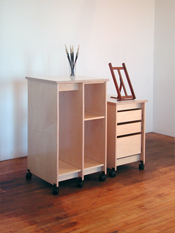 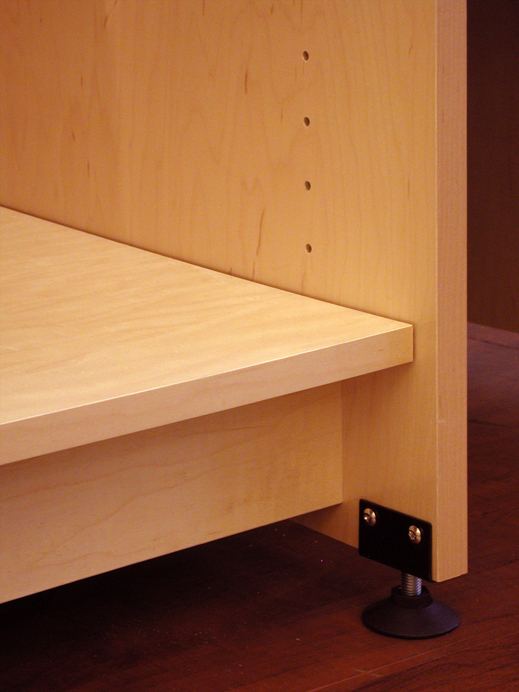 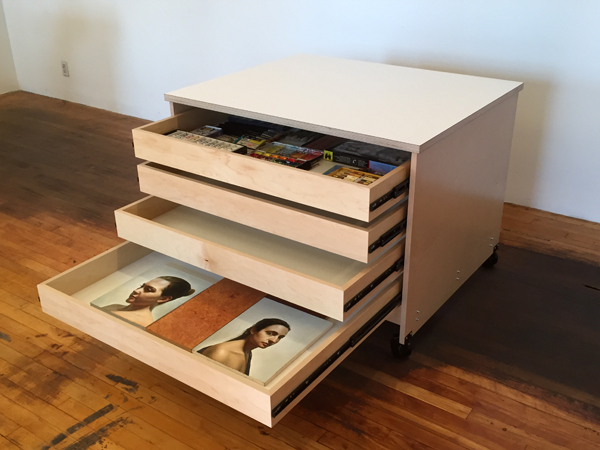 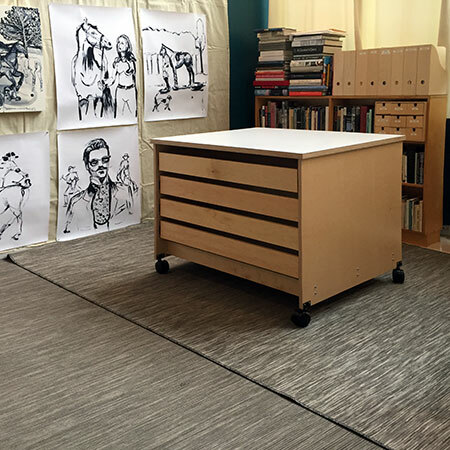 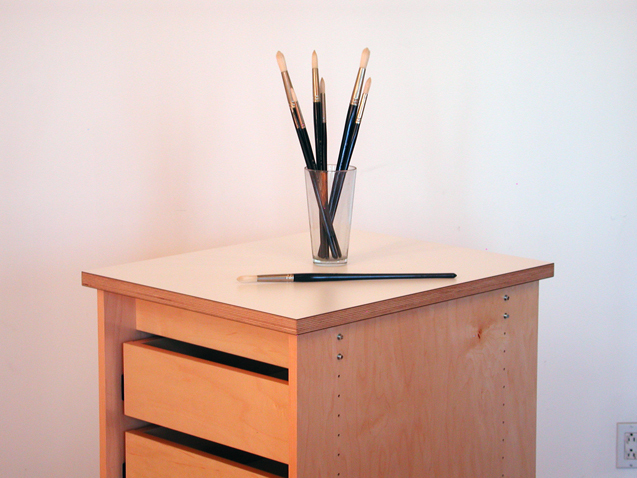 The Art Storage System™ will fit into any space or situation. 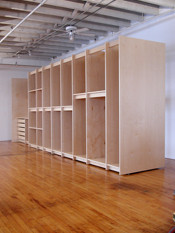 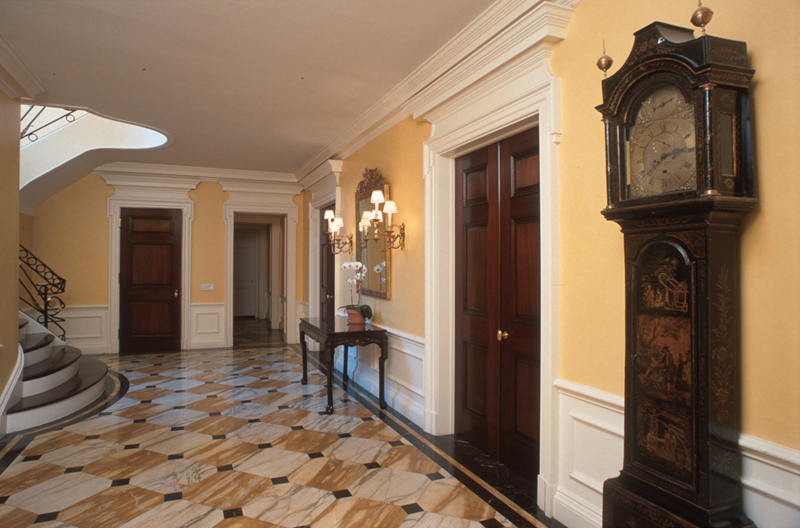 Art Storage sections and parts can be ordered as needed at any time. 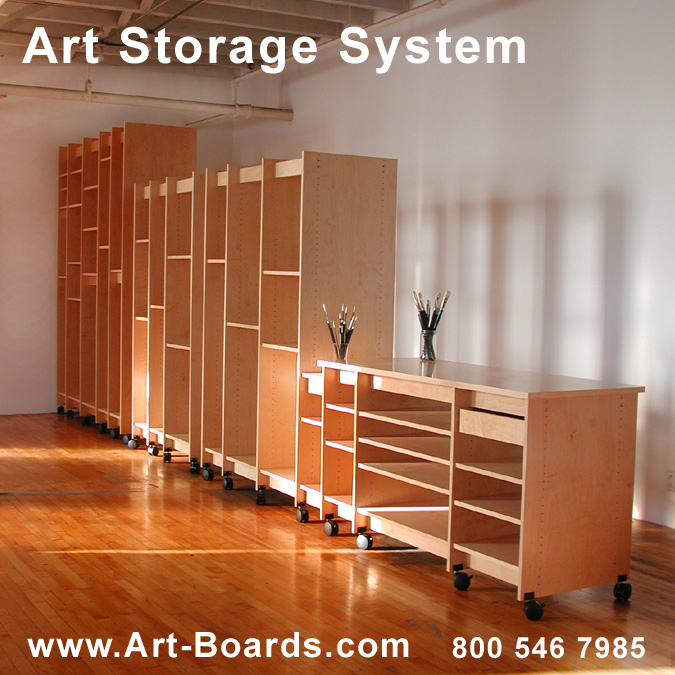 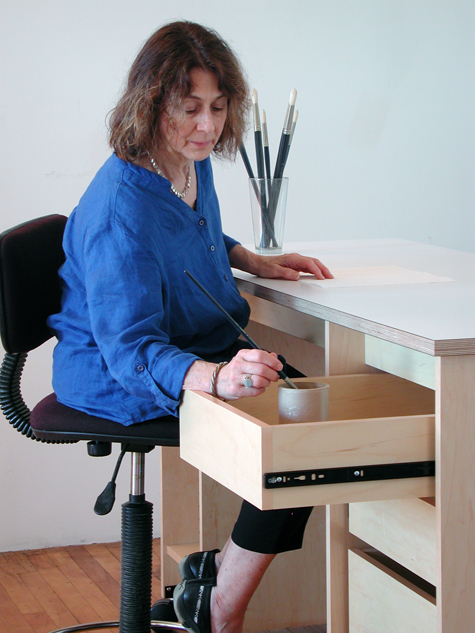 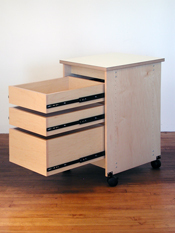 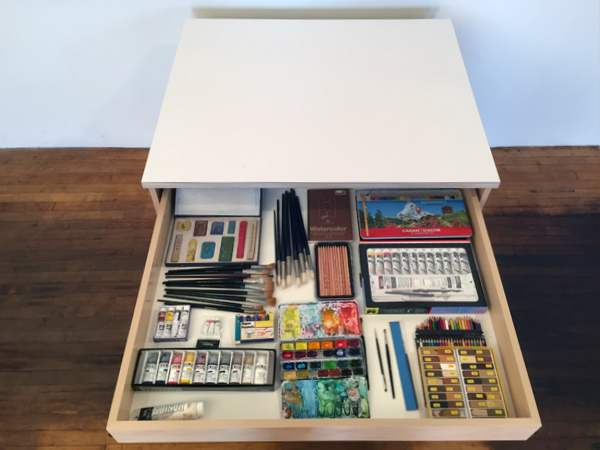 The Art Storage System™ is available only from Art Boards Archival Art Supply. 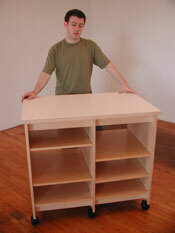 To place your order please call 800 546 7985, or 718 237 2592. 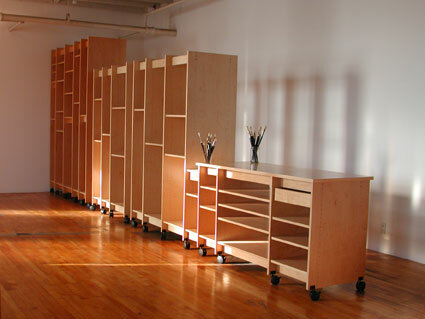 Below are more Art Storage System photos click to enlarge. 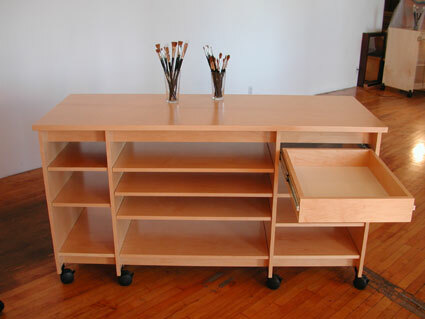 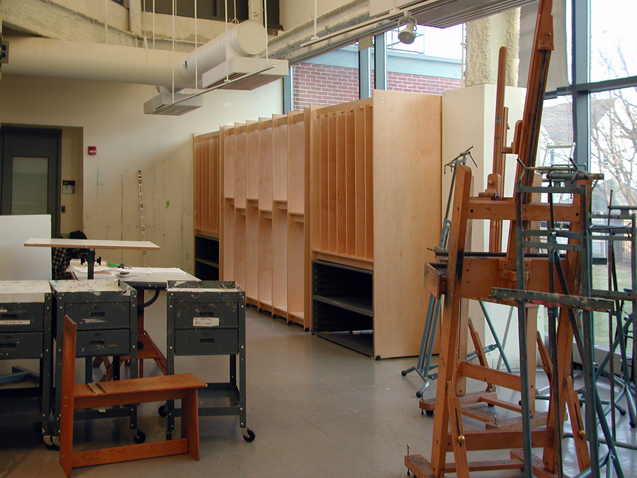 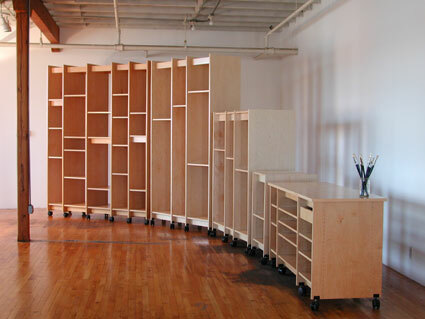 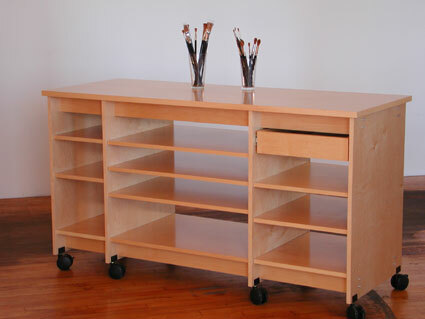 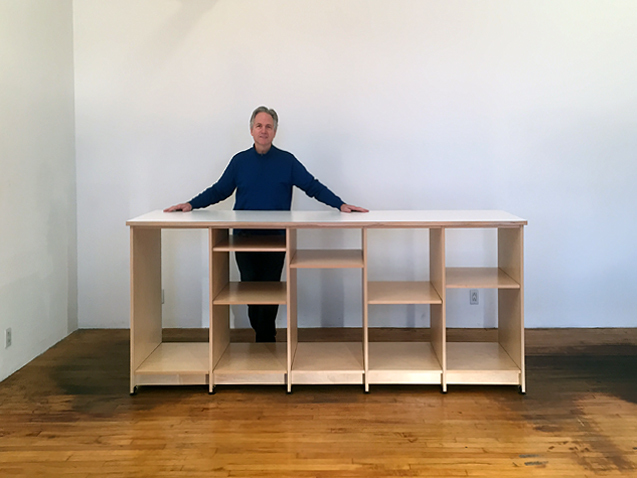 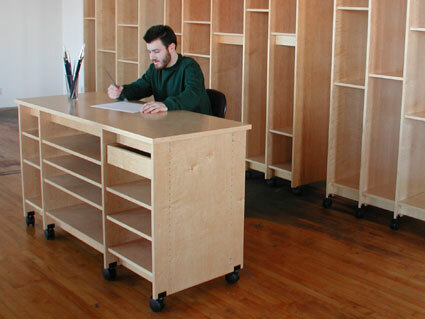 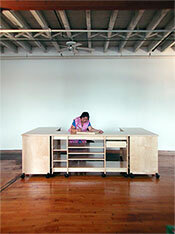 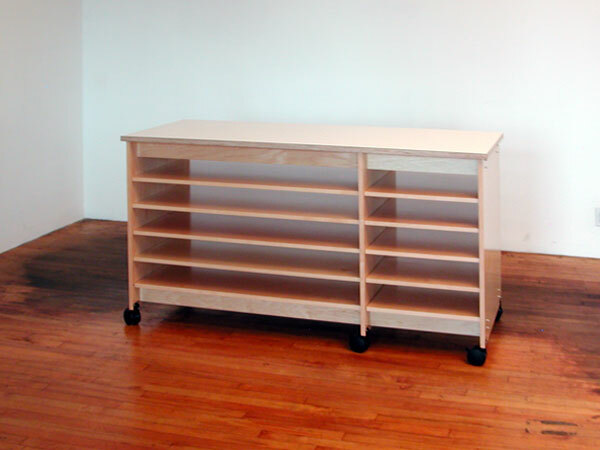 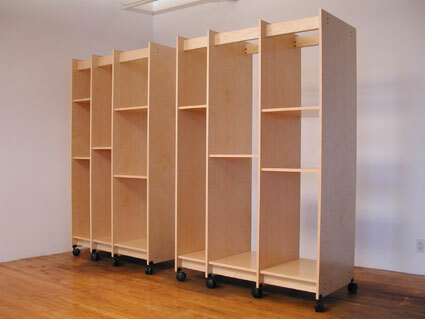 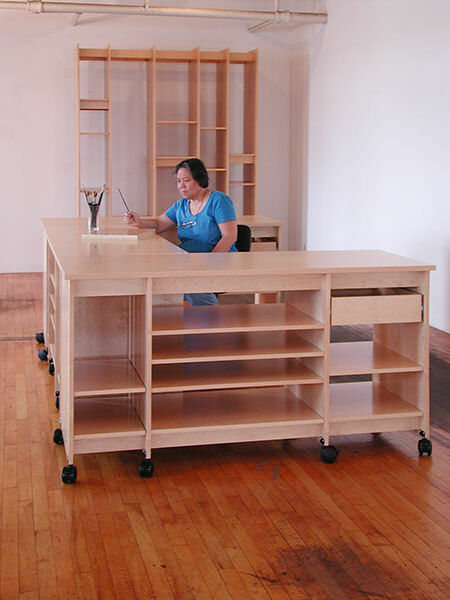 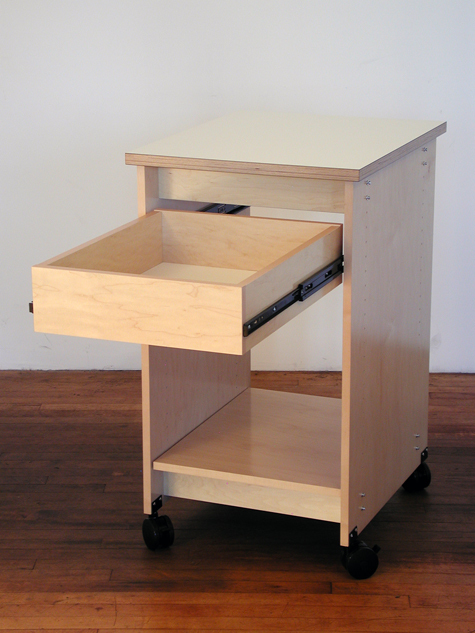 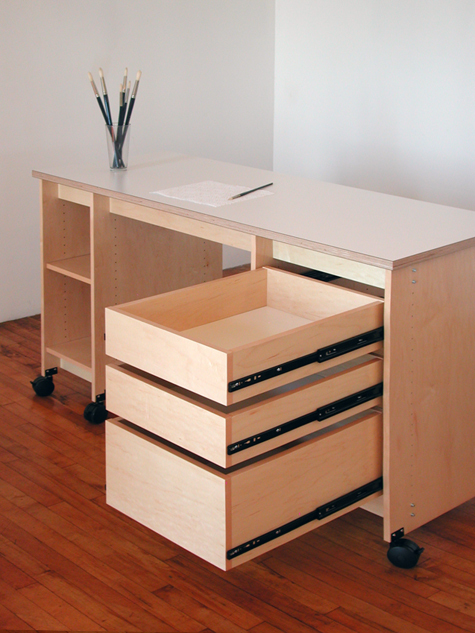 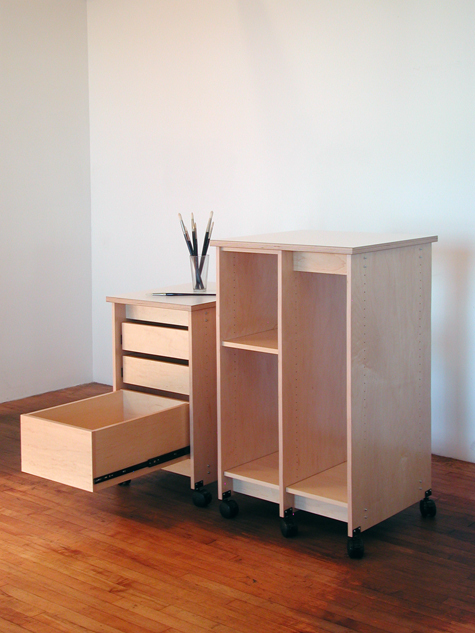 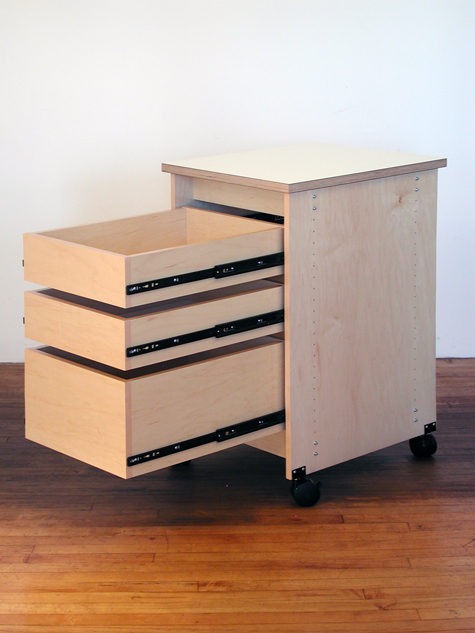 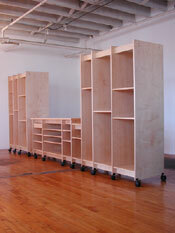 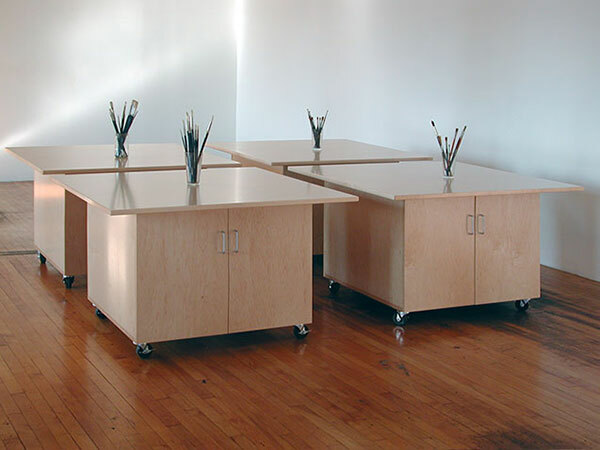 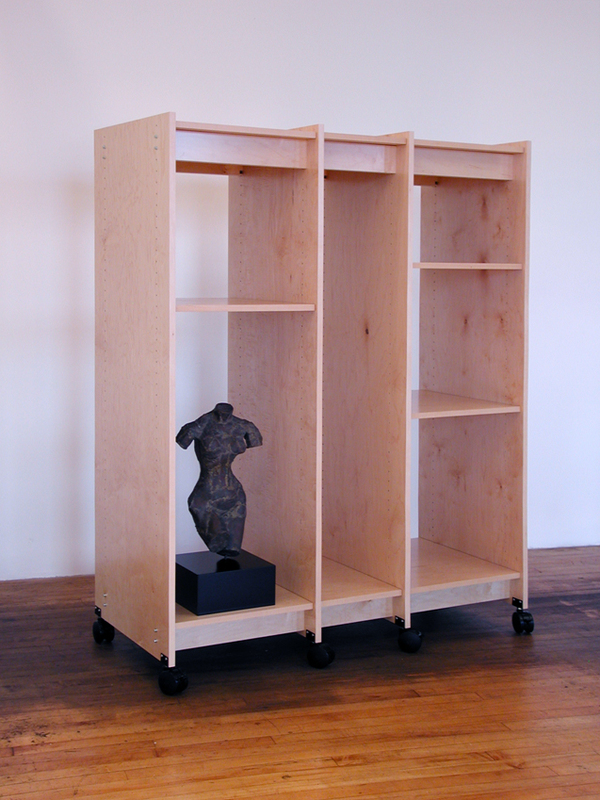 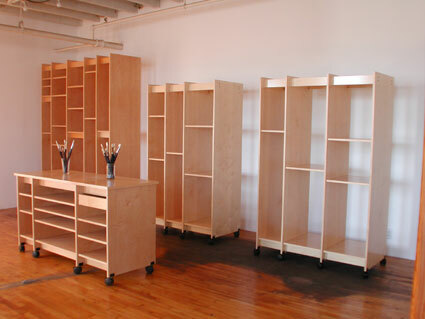 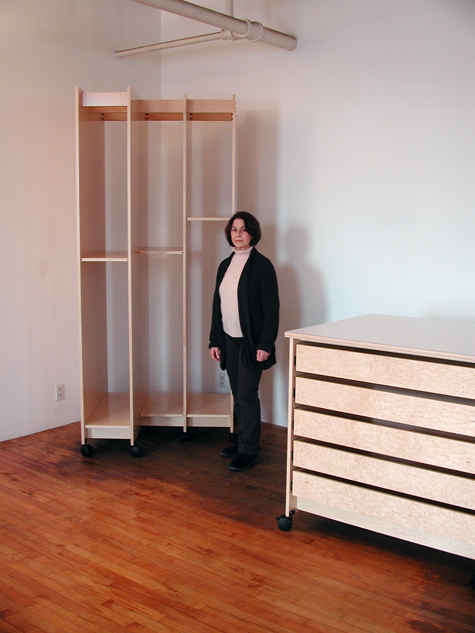 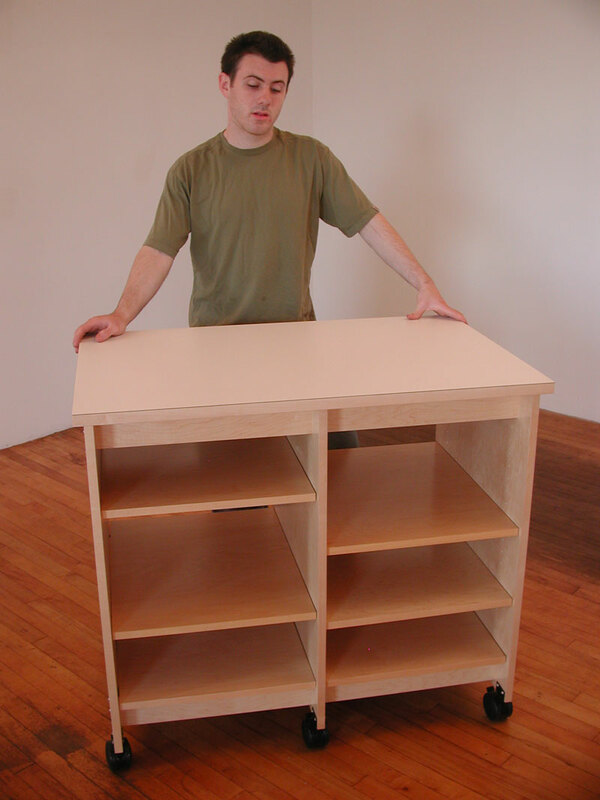 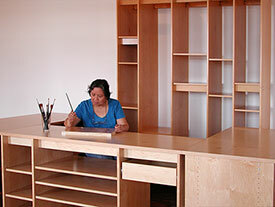 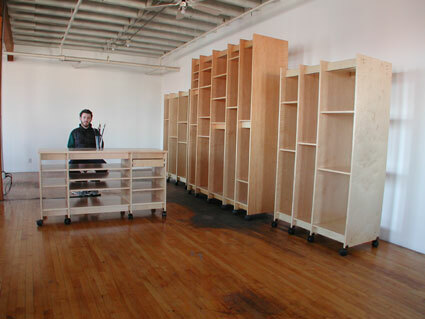 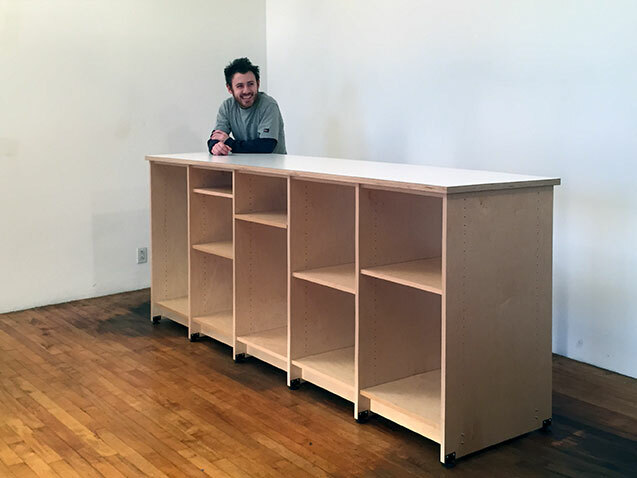 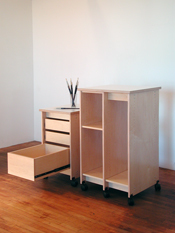 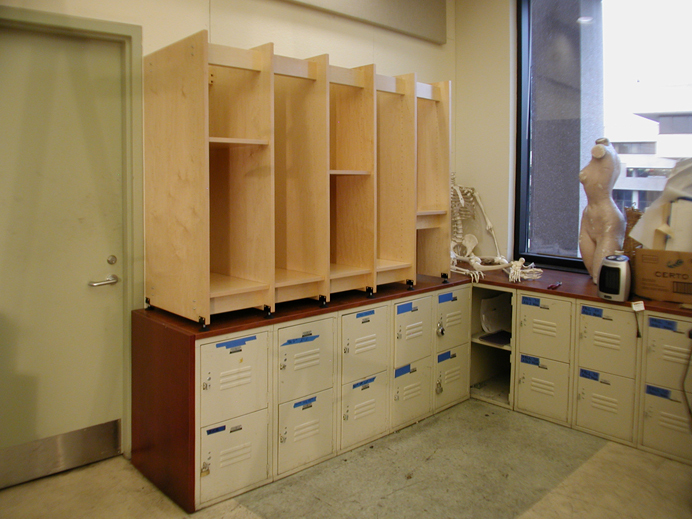 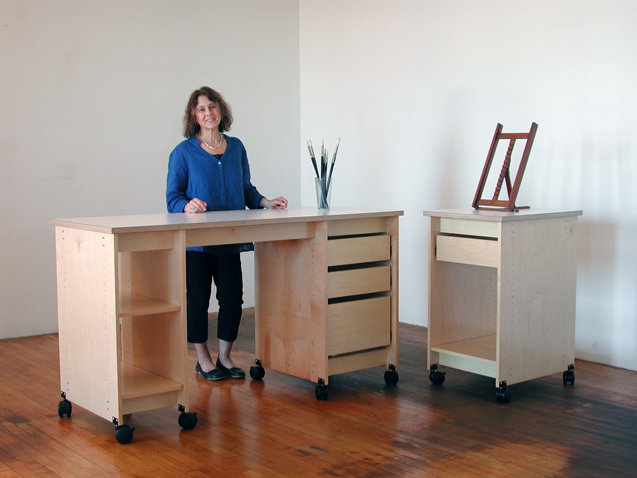 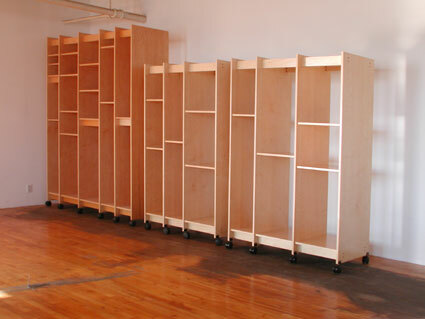 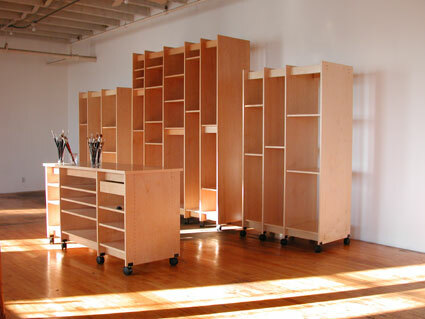 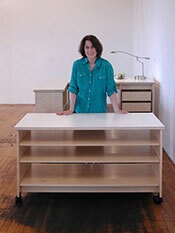 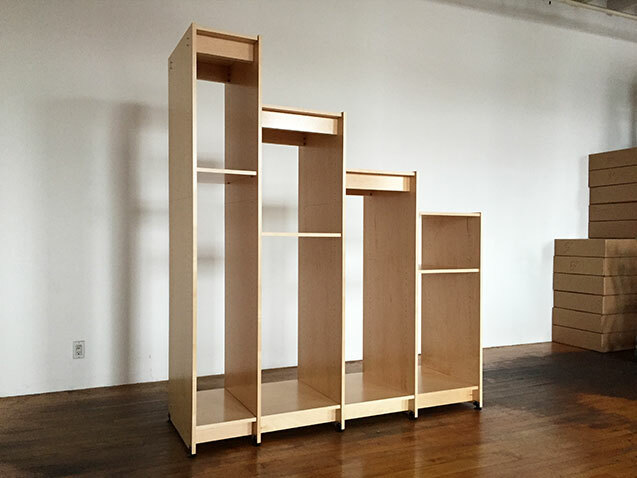 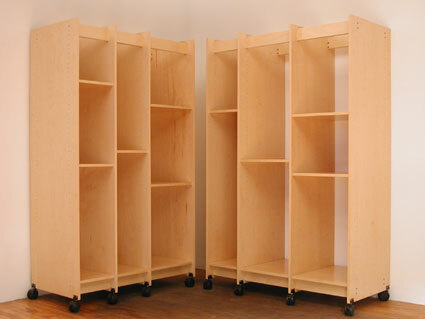 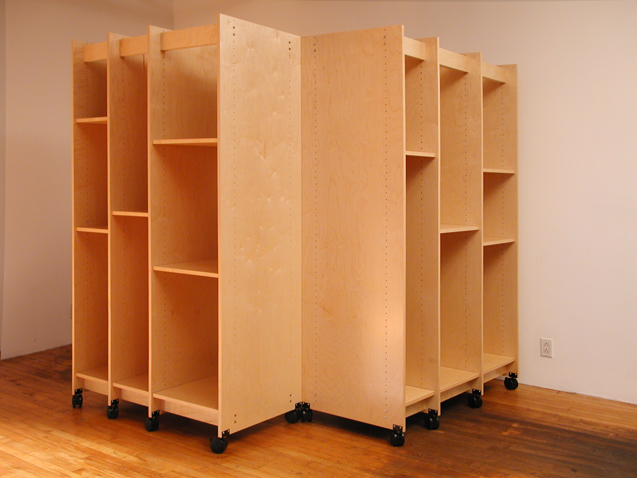 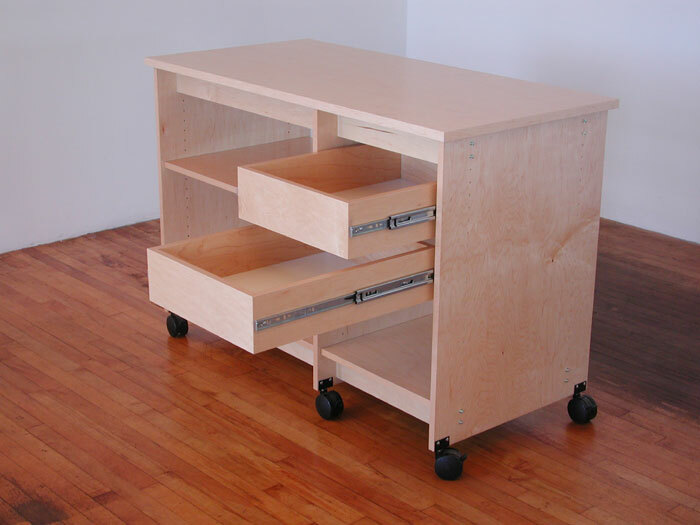 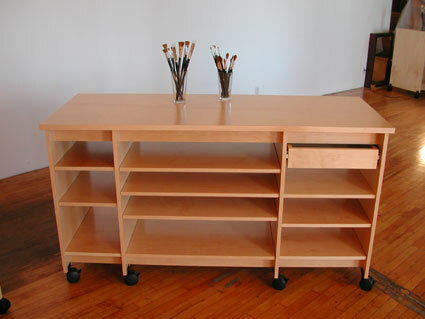 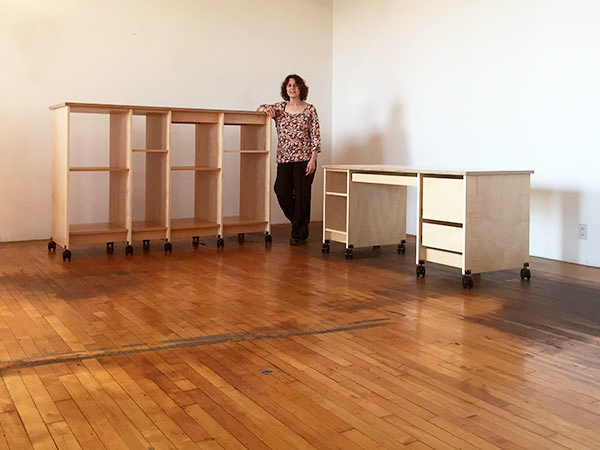 The Art Storage System can be assembled in a variety of configurations. 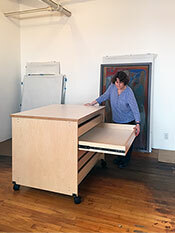 Click on to the Art Storage photographs above to enlarge. 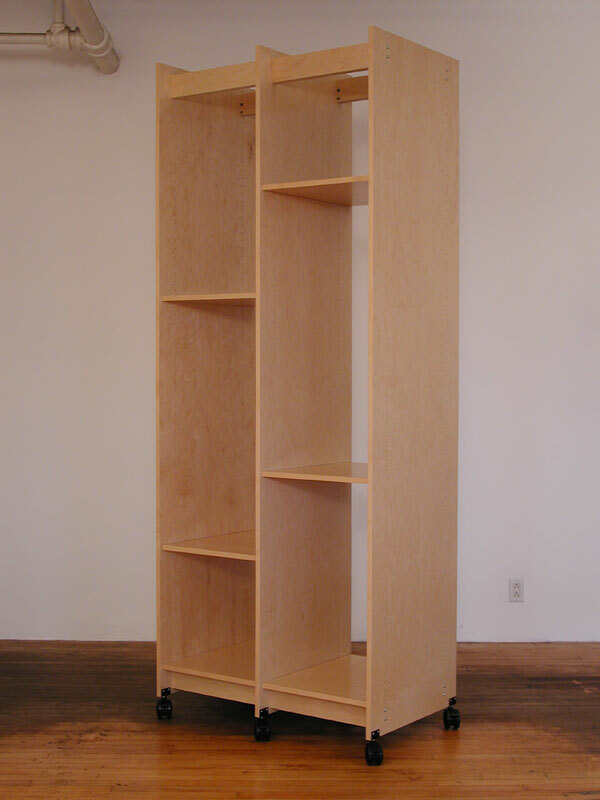 800 546 7985, or 718 237 2592.